We use paper money or notes on a daily basis and we have an idea of how to identify genuine ones from those that are fake. We may not be adept at it, but we have an inkling, nonetheless. But what do we know of its history? 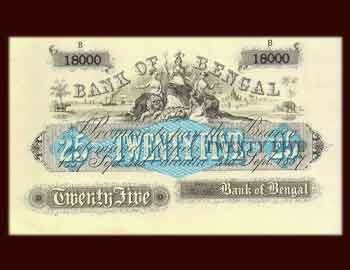 Do we know when, why, and how Indian paper money came into existence? Notes did not start out the way we know it today. It was much, much different. It began as a bank note, a promissory note given by a bank in lieu of precious metal coins which were payable on demand. Bank notes were a great way to carry money without being weighed down by the weight of coins.